Stunning single-family 2 story home. Located in a cul-de-sac and surround by nature and wildlife, in Roxborough Park! Including 12 miles or private trails and close to Chatfield Resevoir & Arrowhead Golf Club. Enjoy an open layout while entertaining and relaxing with the incredible views. This home offers 3 bedrooms and 4 baths with a private patio with amazing views. Stunning spiral staircase between levels. Enjoy dining while looking out to wildlife. Close to Arrowhead Golf Course and down the street from the playground, clubhouse. 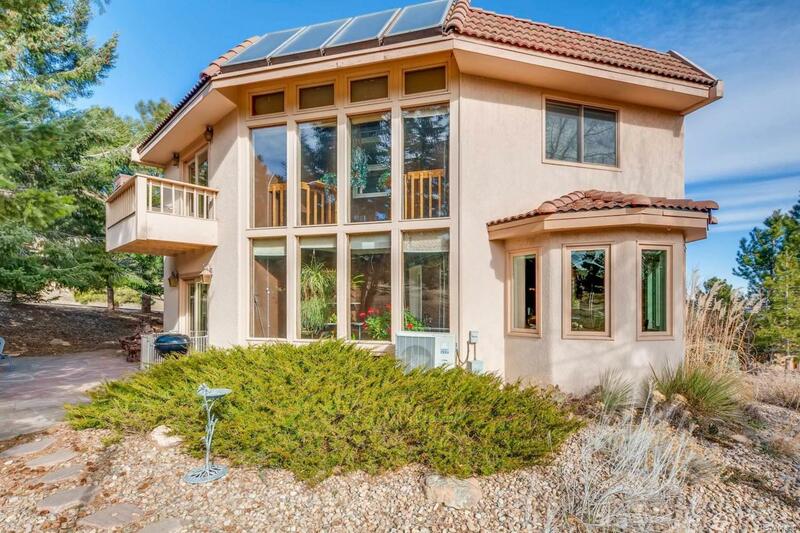 *This amazing home is custom and has a passive solar system in the sun room that is incredibly effective in heating this home.